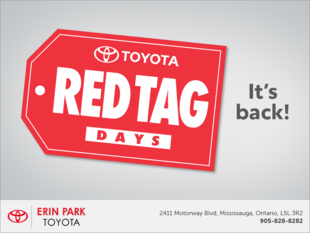 I bought a RV4 at Erin Park Toyota and I was very pleased with their customer service. Sales person was great. It was a very a good experience visiting the dealership and trying out the new car on a test drive. The process of buying the car was explained along with upgrade prices. The dealership had also offered a good price for the new car.